The Direct Selling Association (DSA) recently held its annual meeting in Phoenix, Arizona. The event featured numerous workshops and conference sessions on a variety of topics of interest to leaders in the direct selling industry. Many of the top brands in the industry were present, including Amway, 4Life, Herbalife, and Usana, to name a few. This was AnyMeeting’s second year exhibiting at the DSA conference, and our first year as a conference Sponsor. We’re currently working with more than a dozen large “direct selling companies”, providing a valuable productivity tool for their independent distributors. The direct selling industry is one of many small business verticals where AnyMeeting is building strong partnerships and a recognized brand. Others verticals include real estate, financial services, professional services and healthcare, among others. 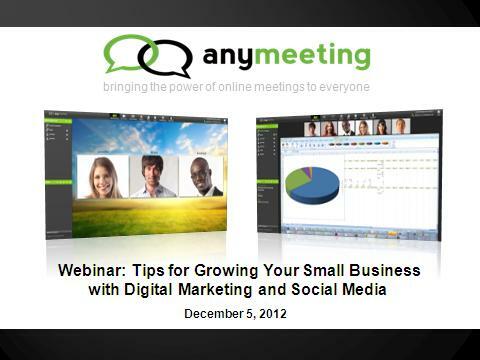 Want to learn more about how AnyMeeting can help your business, industry or association? Contact us. If you are an engineer, designer, product manager, marketer or entrepreneur, AnyMeeting has a great opportunity for you. On January 26th, AnyMeeting will be hosting a hackathon based around the emerging technology known as WebRTC. Seeing WebRTC as a major disruptive force in the world of Real Time Communications, AnyMeeting is encouraging those interested to come together and work on building a new project, product or service involving the technology in a 12-hour hack session. At the end of the session, competing teams of contestants will be able to present and answer questions on their projects for a chance to win a grand prize of $5,000. Small prizes will be awarded to two runners up teams as well. For more information on the “AnyMeeting WebRTC Hackathon,” how to register and sponsorship opportunities, please visit our AnyMeeting EventBrite Page.